Desi Smith/Staff Photo. 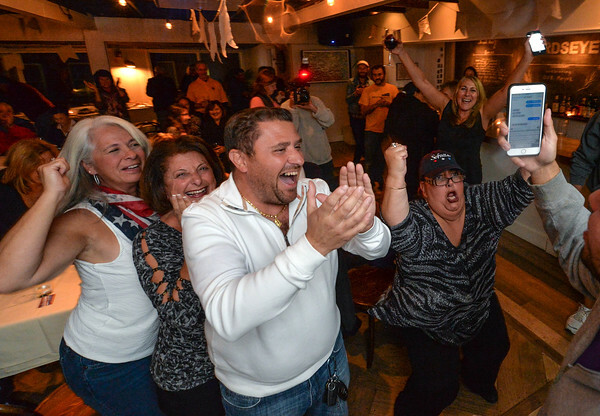 Mayor Sefatia Romeo Theken reacts after the final votes come in at Short and Main, along with her supporters Tuesday night in the West End . November 3,2015. 151103DSMSefatiaMayor Sefatia Romeo Theken Election night.